Existential Dissipation came into existence in 2016 via founder Franky D’Alimonte, as a side project outside of Corprophemia. In the following years, the project drew more interest and the idea of turning the one-man project into a full band gained traction. Bob Shaw (Cuff) was added to the lineup on vocals, which solidified the direction of the sound. The demo track “Devoured, Decayed & Displayed” was produced and released shortly thereafter, and Existential Dissipation was revered by Slam Worldwide as an upcoming band to keep an eye on. After building up some interest from the newly-released single, Existential Dissipation caught the attention of the Canadian label CDN Records, which later signed the band and has since been working to assist in their artist development. With the growing desire to perform live, both members began searching for additional members whom they felt would compliment the project while adding something new. In 2017, Justin McNeil (Necroexophilia, Murdered) joined, taking on drum duties as a session performer for the upcoming “International Solidification”, a 3-way split with label mates Gape & Displeased Disfigurement. To complete the line-up, Kyle Lam (Mendacity) entered the fold in early 2018, filling in on bass guitar to complete the low-end assault that the project was looking for. With a complete line up, the band debuted with their first live performance in Toronto on March 16th, 2018, as direct support alongside the legendary Putrid Pile. 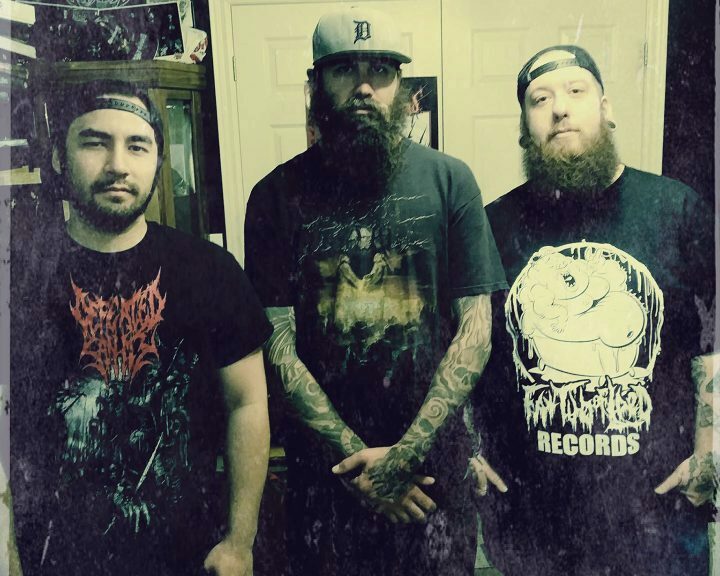 That spring, the band entered the studio to record their upcoming full-length album “Cesspool of Remnants”, eyeing a release date within early 2019.